What a year for Rocket League Esports! After two monumental Rocket League World Championships filled with heart-stopping plays and unexpected storylines, we’re keeping the action going in Atlanta for another round of ELEAGUE! 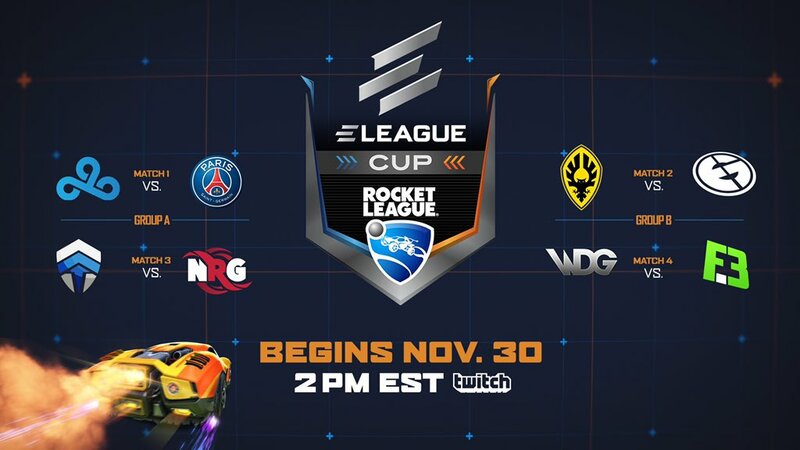 The ELEAGUE Cup: Rocket League returns this weekend with eight of the top teams in the world getting their chance to prove their worth one last time to close out 2018! With $150,000 on the line, you can expect the competition to be fierce! The Twitch broadcasts are on November 30 to December 2 beginning at 11:00 AM PST (2:00 PM EST) each day. Catch the stream live then at https://twitch.tv/eleaguetv! The ELEAGUE fun doesn’t stop there! TBS will air a four-part feature series beginning with Esports 101: Rocket League on December 7th. The remaining ELEAGUE Cup: Rocket League episodes will air on Friday 14th, 21st, and 28th at 11:00 PM PST/ EST each day! Whether you’re a new fan of the esport or a seasoned veteran of the community, you’ll enjoy this in-depth look into competitive Rocket League and what makes it the World’s Most Exciting Esport! Aside from the insane gameplay that’s in store for the weekend, viewers will also get the chance to earn Fan Rewards all throughout the broadcast! Make sure to link your platform here and tune-in all weekend to get some sweet items! For more information on ELEAGUE, the feature series, or to buy tickets to come to the Atlanta studios and see the action LIVE, visit the ELEAGUE website now!